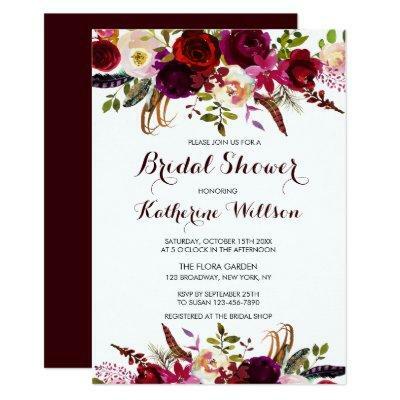 Bohemian style Bridal Shower Invitation Card featuring watercolor illustration of burgundy, red and pink peonies and roses with feathers accent. This is perfect for autumn | fall and winter events. Matching items are also available.